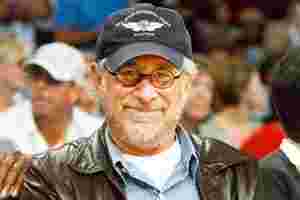 Los Angeles: Paramount Pictures executives on Friday publicly congratulated Steven Spielberg, David Geffen and Stacey Snider on having announced the completion of their deal to leave the studio and form a new entertainment company—though no such announcement had yet been made. The go-round followed a report on The Wall Street Journal’s website that said the three DreamWorks SKG executives had finally finished their long-anticipated deal to start a new company with backing from Reliance Big Entertainment Pvt. Ltd. If Viacom Inc.’s Paramount jumped the gun a bit in bidding the three farewell, its executives bent over backward to be nice about it—niceness having been in short supply during their brief marriage. “We congratulate Steven, David and Stacey, and wish them well as they start their newest venture," said the statement. It added that Paramount had waived provisions in deals that bound the three and other DreamWorks employees to Paramount—which purchased the company in 2005 for $1.6 billion (Rs7,408 crore now)—to allow them to “join their new company without delay". A person briefed on the situation, who spoke on condition of anonymity to avoid compounding the confusion, confirmed that the deal was, in fact, done. Reliance is expected to put about $500 million into the new company, which will also have as much as $700 million in backing from lenders organized by JPMorgan Chase and Co., that will let it make at least half a dozen pictures a year. The new company, its name still to be announced, will also have to line up a partner to distribute its future films. Universal Pictures has been widely cited as a possible distributor, given Spielberg's long-standing ties with the firm, where he made movies including Jaws and Jurassic Park and on whose lot he keeps his office. But quickly finding a new home may not be easy. Any studio that adds the new company's films to its schedule could be forced to pare its own offerings to make room. With studios already locked in a cost-conscious mode, some executives have privately expressed reluctance to make further cuts to accommodate newcomers. The divorce notwithstanding, Paramount and the Spielberg-Geffen-Snider team will continue to work together on a number of DreamWorks films that have yet to be released by Paramount, including The Soloist, a potential Oscar contender starring Jamie Foxx and Robert Downey Jr, as well as a sequel to last year's Transformers.